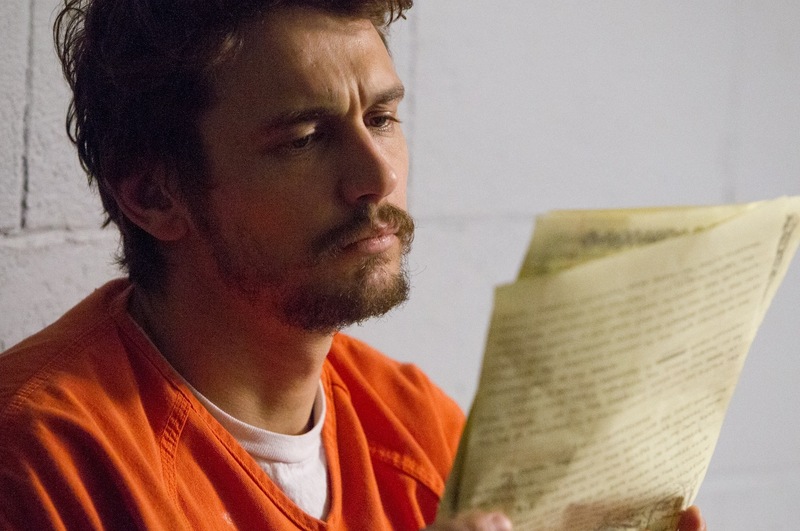 Jonah Hill and James Franco star in True Story, a film based on a chilling real-life crime. While the film focuses more on the twisted, deeply psychological relationship between a killer and a journalist, the crime behind the story will give you the shivers. In real life, a man named Christian Longo currently sits on Oregon’s death row for killing his wife and three children. His story would probably have been an open-and-shut case if it hadn’t been for a journalist named Michael Finkel, who willingly allowed himself to be sucked into the sinister and tragic drama that is the subject of the new film True Story. The film is based on Finkel’s own book True Story: Murder, Memoir, Mea Culpa. In the film, we meet Finkel (Jonah Hill) in Africa as he’s working on a story about the modern slave trade for The New York Times. When his story is published, it’s quickly revealed that Finkel combined the experiences of several young men he met in Africa into one composite character to make the story seem more compelling. This is a huge sin in journalism, where each individual’s truth is to be protected at all costs. Finkel was let go from The New York Times and subsequently struggled to find work. Here’s where the story becomes stranger than fiction. 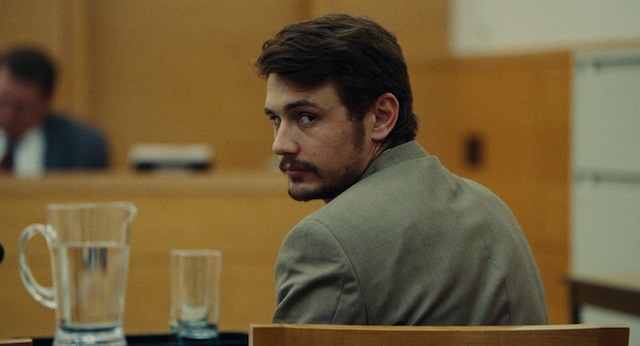 Finkel then discovers that a man, Christian Longo (James Franco), has been using his identity, Longo having fled to Mexico after his wife and three children were discovered dead. While most of us would probably be creeped out by someone stealing our identity, particularly someone who’s accused of a heinous crime, Finkel became intrigued by Longo and sought him out. Without a job, Finkel decided to write a book about Longo, seeing it as the perfect way to rejuvenate his career. Jonah HIll plays Finkel as a man who’s almost flattered that someone — even a possible murderer — took an interest in him, even pretending to be him. Perhaps naïve or even dismissing the notion that men are capable of evil, Finkel allows Longo to manipulate him into believing they are similar men, in both mind and heart. So what exactly was Longo eventually convicted of? Murdering his young family in cold blood. From a small town in Michigan, Longo was raised as a strict Jehovah’s Witness and married fellow church member Mary Jane Baker when Longo was 19 years old. She was 26. The couple quickly had three kids despite being plagued by financial instability. Longo became an expert at printing fake checks and creating fake IDs. Soon, he was in more than $100,000 worth of debt. He stole a minivan and went on the run with his wife and kids, eventually taking shelter at a hotel in Newport, Oregon. A few days before Christmas 2001, the tiny body of 4-year-old Zachery Longo was found in nearby icy waters with a pillowcase full of rocks tied to his ankle. Three days later, his sister, 3-year-old Sadie, was found dead, also with a weighted pillowcase tied to her. On Dec. 27, both Mary Jane Longo and her 2-year-old daughter Madison were also found dead. They had been put into suitcases weighted down with dumbbells and also dropped into a local marina. Longo eventually confessed to putting all of his small children in the water while they were still alive. He strangled his wife while making love to her. Of course, now that the trial is finished and Longo has been sentenced to death for his crimes, it’s easy to think Finkel should have seen Longo’s guilt early on in their relationship, given the evidence. But Finkel’s lack of judgment or ability to see through Longo’s lies seems like a cautionary tale, showing how easily anyone can be manipulated if they are not thoroughly vigilant. True Story, also starring Felicity Jones as Finkel’s girlfriend Jill, opens Friday.